Get news, updates & important announcements sent straight to your inbox. 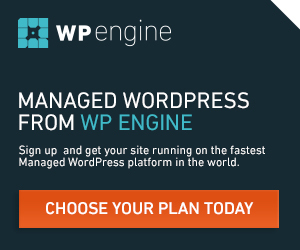 We're a small team of WordPress experts who love all things technical! We're here to fix your WordPress problems fast, so you can get on with your business. @iambradleymoon Hey Bradley, thanks for your feedback but the lack of support we received had a serious negative impact on our business so I don’t think using a personal account would have been appropriate in this case. @LastPassHelp sure, will do, thanks.